Let’s talk for a moment about Seth Rudetsky. Seth is like that musical theater guy you knew in high school. and college. and post-college. But there’s more to Seth than just his (INSANE amount of) musical theater knowledge. There’s his (INSANE amount of) music knowledge, too. If there’s one thing I miss about all the vocal coaching and music classes I was entrenched in growing up, it’s the people like Seth who made me excited to understand technique and sing correctly. Because, when you get it for the first time — when your mind and body finally connects and creates that beautiful sound the way it was meant to be heard — it’s an exciting moment. Seth’s fancy deconstruction videos allow me to relive everything I learned and look at it from a fresh (and pressure-free) perspective. Even though I don’t sing apart from Karaoke nights anymore, watching his videos remind me of those connections. The elation, the enthusiasm, and the sheer joy. Simply A-MAH-zing. I chose this particular video for Monday’s Watch/Listen pick because it features one of my favorite performers/people, Christine Ebersole, and it’s a deconstruction of one of my favorite musicals (and documentary! ), Grey Gardens. P.S. 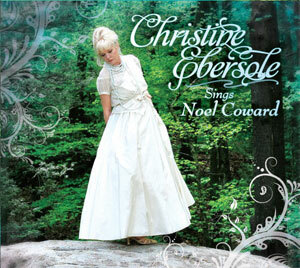 Christine has a new CD out, Christine Ebersole sings Noel Coward. It’s a gorgeous pairing of two extraordinarily talented human beings. Maira Kalman’s work is my hot cocoa. It’s sweet, strong, rich, reminds me of childhood, warms my body & soul, and keeps my imagination stimulated, like the perfect combination of caffeine and sugar. Maira’s latest work, And the Pursuit of Happiness, is based on her blog for the New York Times, where she spent a year traveling the United States chronicling (through paintings, sketches, photography, writing, and some embroidery) what democracy means to people in government, in history, and with ordinary citizens, in their in daily lives. It’s a beautiful and inspiring look at humanity and how we individuals choose to pursue our own happiness in the land of liberty.